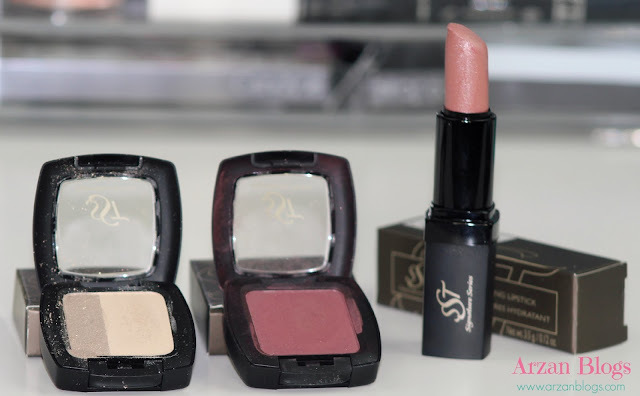 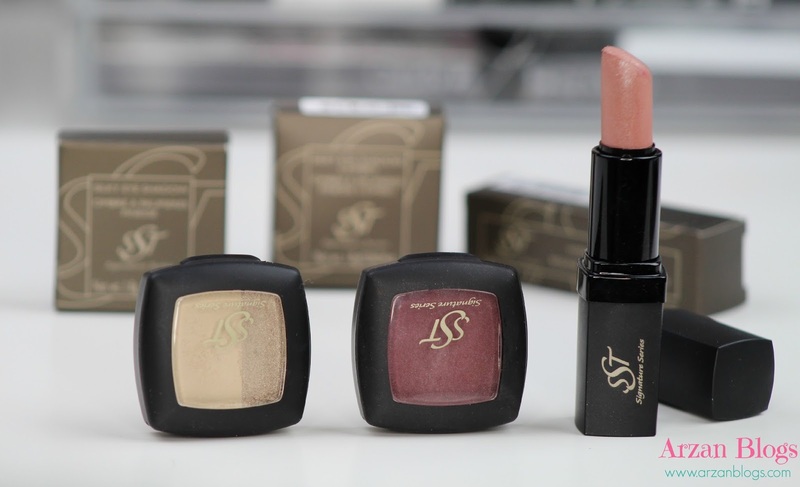 SST Cosmetics is a Canadian company based in Saskatchewan. 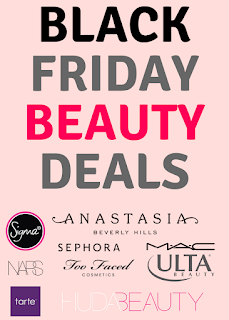 It offers a number of high quality beauty products that are claimed to be free of harsh chemicals. 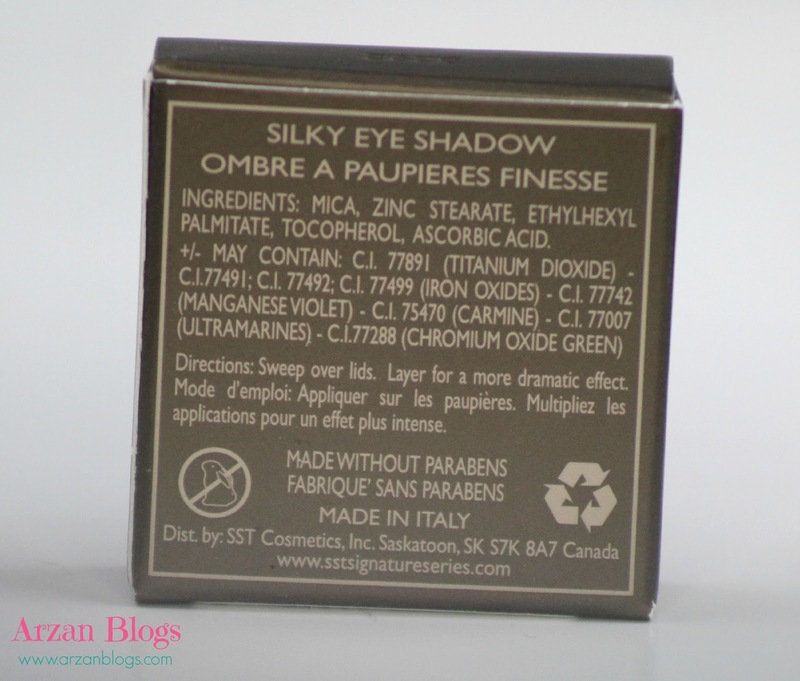 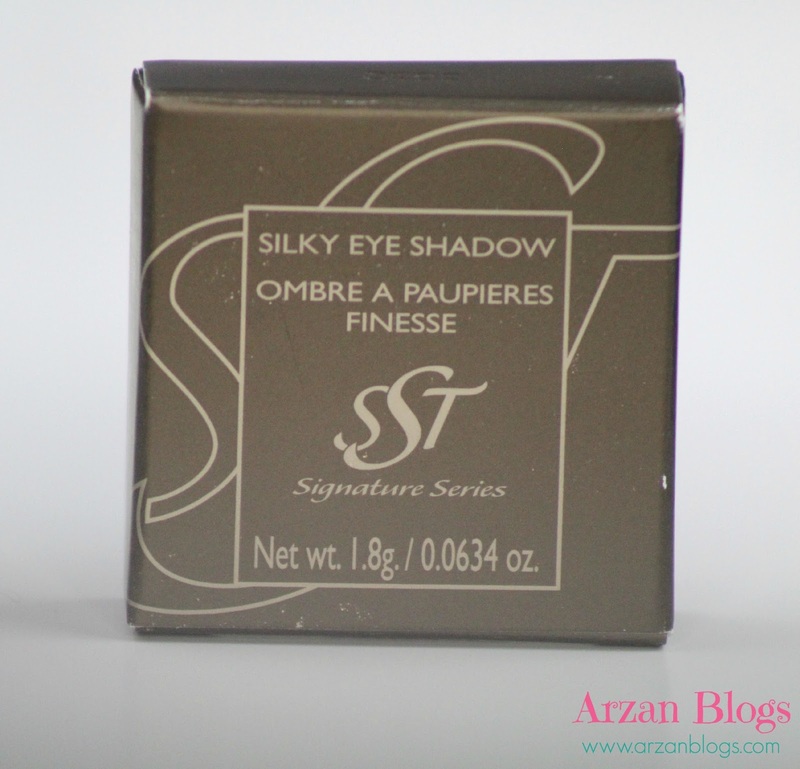 The eyeshadows contain about 1.8 g of product and they're formulated without parabens. All the ingredients are listed on the back. 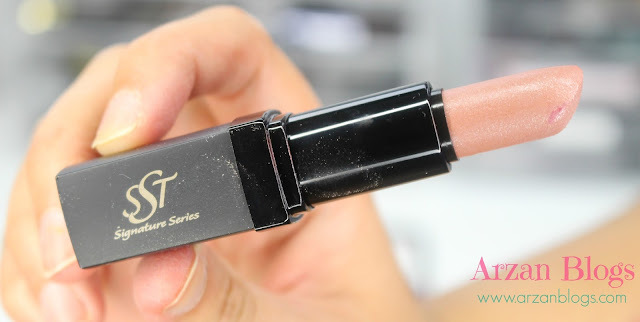 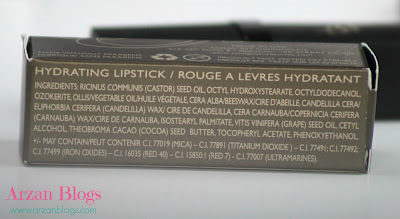 The lipstick contains 3.5 g (0.12 oz) of product and the ingredients are also listed on the back. 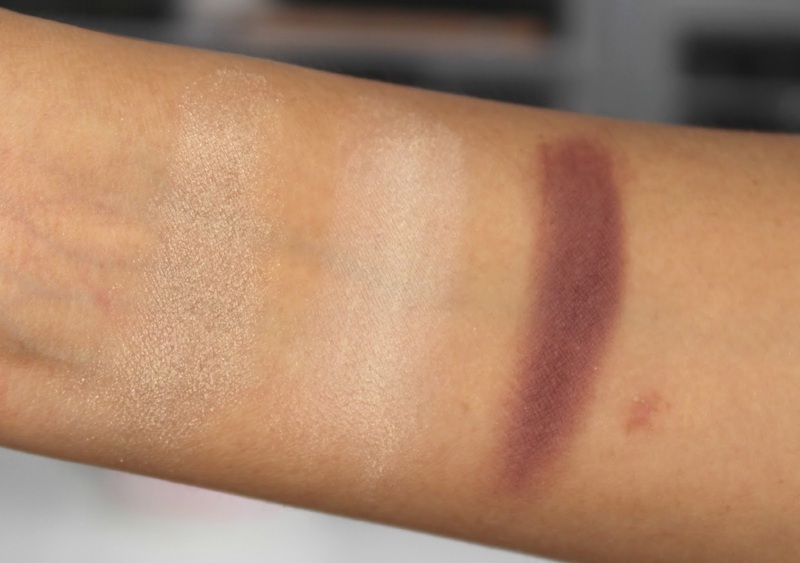 This comes with a matte and a shimmer shade to highlight. 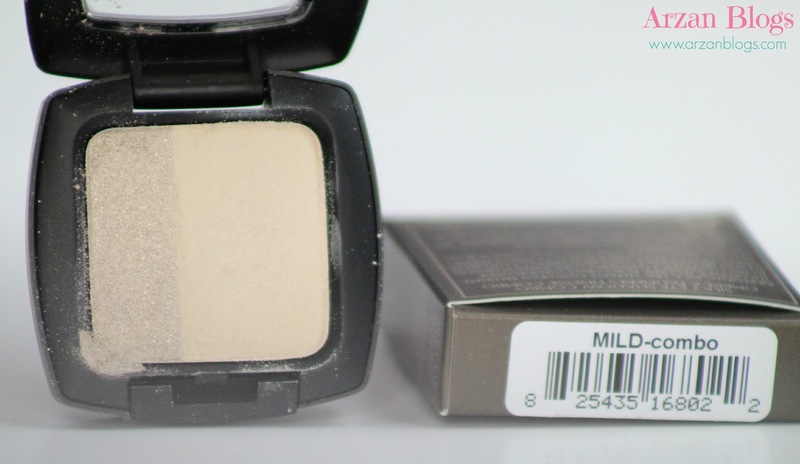 I personally like using the matte shade to highlight brow bone and the shimmer one all over the eyelid or in the tear duct. 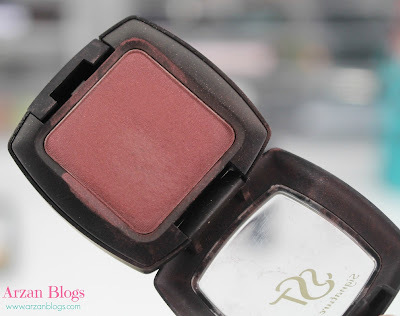 I'm in love with this plum shade. 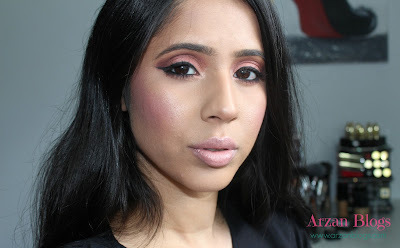 It's perfect for the crease (see photo below) but you can also use it all over the lids. 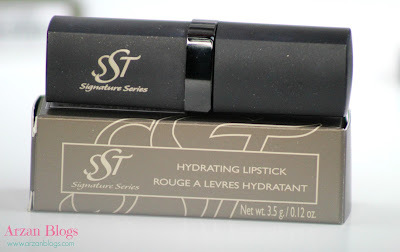 I talked about it in my August favorites video and it's still my favorite till today. 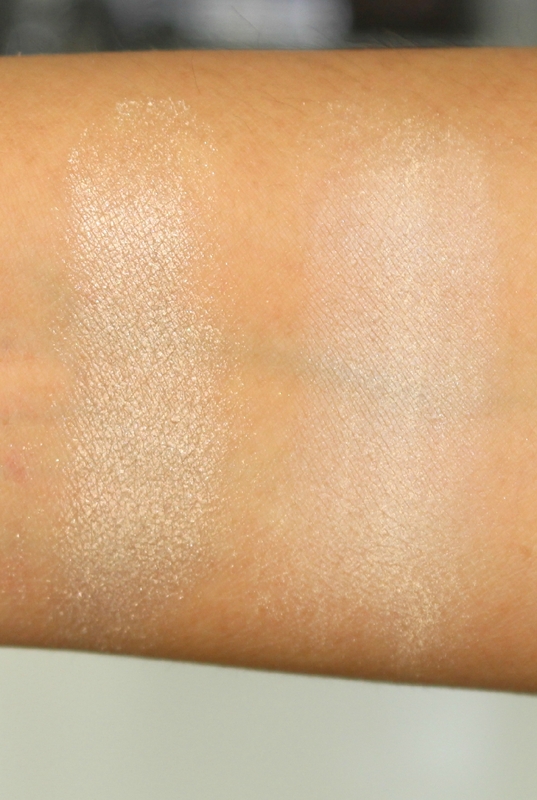 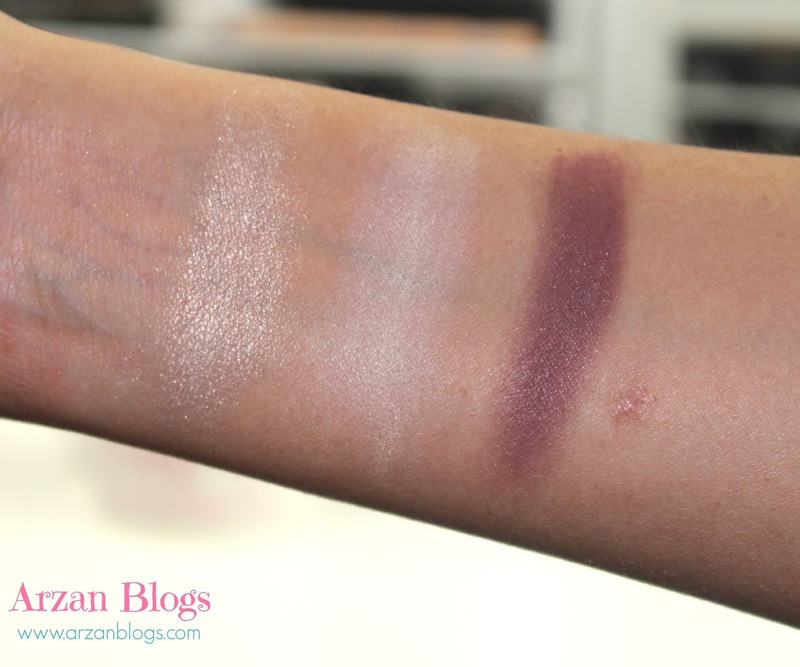 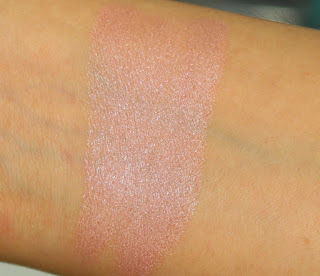 Here are the swatches of all of the eyeshadows (with and without flash). 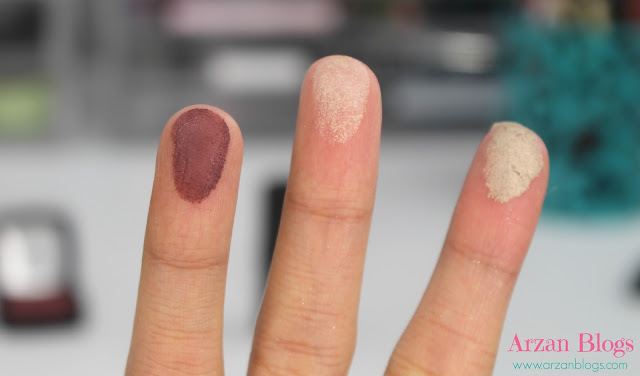 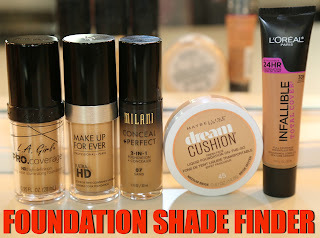 They're pigmented and show up pretty well on my deep complexion. 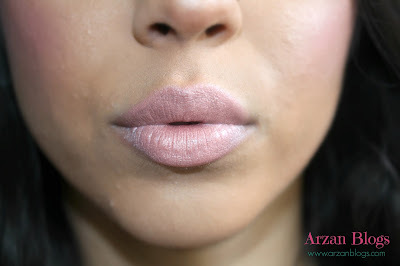 This lipstick is infused with Grape Seed Oil, Cocoa Butter and Vitamin E. It has a bit of pink and shimmer. 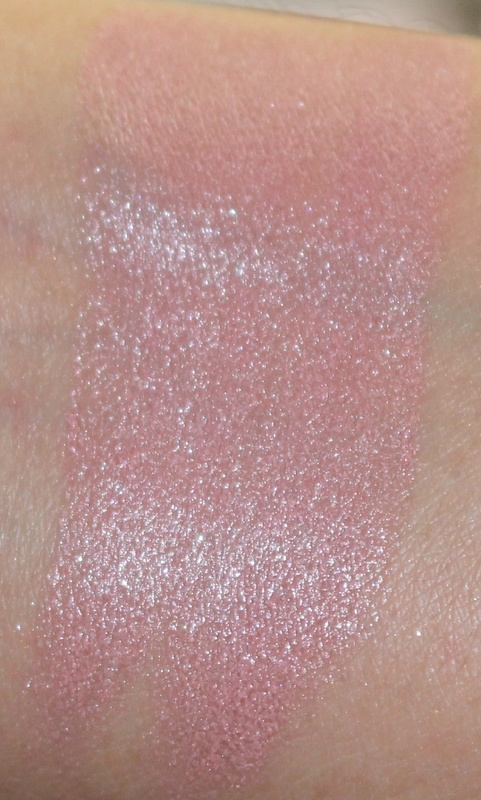 Here are closeup swatches of the lipstick with and without flash. 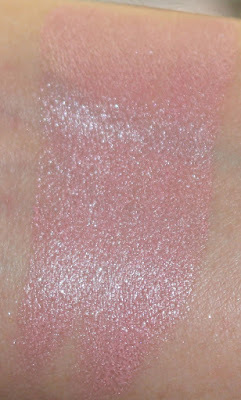 I personally don't think like to wear it alone because it washes me out but I layering it on top of another lipstick. 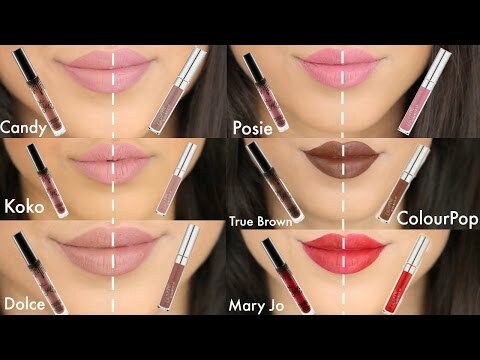 That's what I did in one of my videos and I just love how it looked.